Canada became one of the world’s first complete nations to legalize medical marijuana in 2001. This occurred after Terrance Parker went all the way to Ontario’s Court of Appeals in 2000 to declare the right to treat his epilepsy with the only thing that worked for him – cannabis. This court declared arresting Parker for using the only compound that worked for him was unconstitutional. Thus the Marijuana Medical Access Regulations (MMAR) created a national legal medical marijuana program allowing its use for chronic pain and diseases mainstream medicine fails at helping, such as cancer and AIDS. Since then, modifications and updates have created more liberal access to medical cannabis nationally throughout Canada more than any state in the United States. Recreational non-medical access to cannabis was approved in 2018. A recent University of Victoria survey was conducted among current legal medical marijuana users to determine the reasons and outcomes of using cannabis to replace prescribed pharmaceuticals or alcohol or other dangerous drugs. 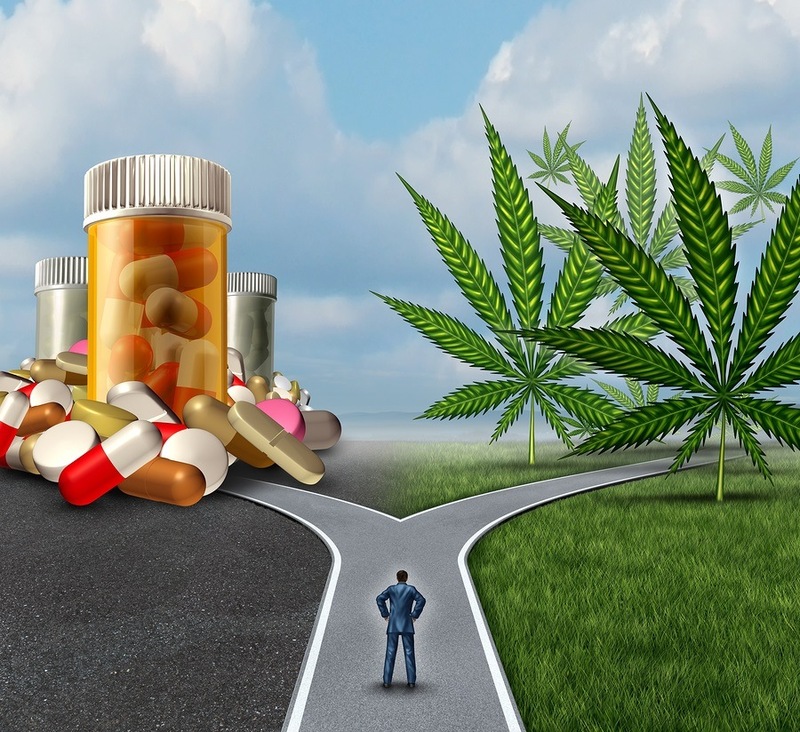 It was started early 2017, completed late 2018, and published in January 2019 in the Harm Reduction Journal under the title Medical cannabis patterns of use and substitution for opioids & other pharmaceutical drugs, alcohol, tobacco, and illicit substances; results from a cross-sectional survey of authorized patients. Due to budgetary constraints, the survey target was limited to the first 2,000 respondents who had completed all 239 questionnaire pages despite sending 16,675 surveys electronically to medical cannabis patients registered with Tilray. Another 32 were added making the total survey number 2,032. Tilray, a respected British Columbia producer, distributor, and researcher of cannabis regulated by the federal government provided a cohort of cannabis users with a standardized quality of cannabis that remained constant regardless of participants’ demographics or reasons for using cannabis medically. The survey questions garnered comprehensive information on individual patterns of medical cannabis use as well as detailed demographics of those taking the surveys. Many of the questions addressed self-evaluations of the effects of cannabis for their symptoms. Other questions were geared to elicit responses regarding the effect cannabis was having with their prescription pharmaceutical drugs, alcohol consumption, or illicit drug use. The mean age was 40 years old. Slightly over 62 percent of the 2,032 participants were male. Daily use of cannabis was reported by 75 percent of the respondents. Just under 84 percent of all the participants used cannabis for PTSD, mental health or neurological conditions, and pain from various conditions that included arthritis. Most cannabis users, 69.1 percent, had replaced prescription drugs, of which 35.3 percent were opioids and 21.5 percent were antidepressants and anti-anxiety pharmaceuticals. Among those who replaced opioids with cannabis, 59.1 percent reported they went completely off opioids. The main reasons participants chose cannabis over pharmaceuticals were less or no side effects and better effectiveness. A substantial number reported substituting cannabis for alcohol while smaller percentages of survey respondents claimed marijuana had replaced illicit narcotics. Perhaps the researchers were understandably being cautious with medical authority by not implying pharmaceutical drugs other than opioids are also associated with subsequent harms. An earlier, much smaller study with the same Tilray cohort had very similar results. It was published by the International Journal of Drug Policy in April 2017. That study was titled Medical cannabis access, use, and substitution for prescription opioids and other substances: A survey of authorized medical cannabis patients. The following video contains a thoroughly interesting and enlightening interview with one of the world’s leading practitioners of cannabis medicine, Dr. Dustin Sulak, who covers the trend toward medical cannabis use that threatens Big Pharma. Dr. Sulak also includes advice on dosing. It’s interesting how Canada went from total cannabis prohibition in 2000 to complete medical and recreational use nationally in such a short time, while the USA has been struggling state-by-state since 1996 when California became the first state to allow and control cannabis for medical use. One reason could be Canada’s much smaller population base: just over 37 million compared to the USA’s population at just over 331 million. But the larger obstacle in the USA has to be the FDA-DEA alliance that maintains a grip on classifying cannabis as dangerous and medically worthless. As long as the FDA declares cannabis has no medical merit, the DEA keeps it classified as a Schedule 1 drug, thus illegal under federal law. The FDA protects the pharmaceutical industry by rubber stamping certificates to market after approving industry trials for the drugs. Big Pharma pays the FDA 2 million dollars for each certificate to market. This and the revolving door between the FDA and pharmaceutical industry positions contribute to a complicit bias toward protecting the pharmaceutical industry’s financial interests. And the pharmaceutical lobby contributes more to Congress than any other industry. Big Pharma Stands to Lose $18.5 BILLION if Marijuana is Legalized Nationally: Is this Why the Current Administration is Attempting to Halt the Progress of Medical Cannabis? Canada uses a single-payer system for everyone’s medical expenses, where a portion of citizens’ taxes is allocated to one central insurance provider that covers all medical costs from birth to death. In addition to tax revenue from cannabis sales, the Canadian government benefits with less mainstream medical expenses covered by their single-payer system as patients switch from pharmaceuticals to cannabis. So, the Canadian government benefits financially from more citizens using cannabis instead of pharmaceuticals. That and the fact that, in the year 2000, a Canadian higher court declared arresting someone using cannabis medically was unconstitutional are two reasons Canada progressed so rapidly with cannabis legalization.